I apologize in advance if this is the wrong forum to post this in, but it doesn't seem to fall into any one in particular. I'm a L&H agent in PA, focusing on Medicare. The other day I went to meet a referral from a DSNP client, who I assumed was one, too. When I arrived, I learned the client is getting $733.00 per month and has an Access (Medicaid card). She's 61, very ill and told me that she worked as a home health aide her whole life under the table except for for a two-year stint through an agency where she was a W-2. She was never married as well so she can't get Medicare that way, either. She had a Medicaid plan through Gateway Health, but lost it when she was admitted to a nursing home for three months last spring. Client says they won't give her a straight answer as to why she can't get it back and the County Assistance Office is useless. All she hears is that it's due to the fact that she was getting home health care (she does have an aide come in two hours daily, five days per week). It seems the disconnect is between the nursing home and the carrier. 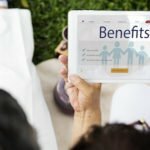 Can agents get appointed to sell these Medicaid secondary plans (not DSNPs)? She was also asking about getting a recliner and DME. I know very little about Medicaid, except for the dual market. I want to ask one of the DSNP carriers to hold a training regarding Medicaid specifically, but am not mentioning it until after AEP.